We know that choosing a trustworthy pet care provider or facility is an important decision. We appreciate price is certainly one consideration. Our overnight suites start as low as $27.00 per night. We hope you agree, in addition to price, there are other important considerations when choosing a safe happy place for your pet. All of our accommodations include documented Nose to Tail Wellness checks throughout the day by our highly trained, loving staff. Spacious inside suites ranging in size from 4’x4′ to 8’x8′ with a 4′ high block wall between each pet for individual privacy. Each guest has an attached 4’x16′ outside covered patio overlooking our beautiful natural country meadow. Here, pets can socialize with neighbors. All Suites have heated floors and air conditioning for your pet’s comfort. Skylights provide natural lighting. Plants and piped-in soothing music throughout create an atmosphere like home. 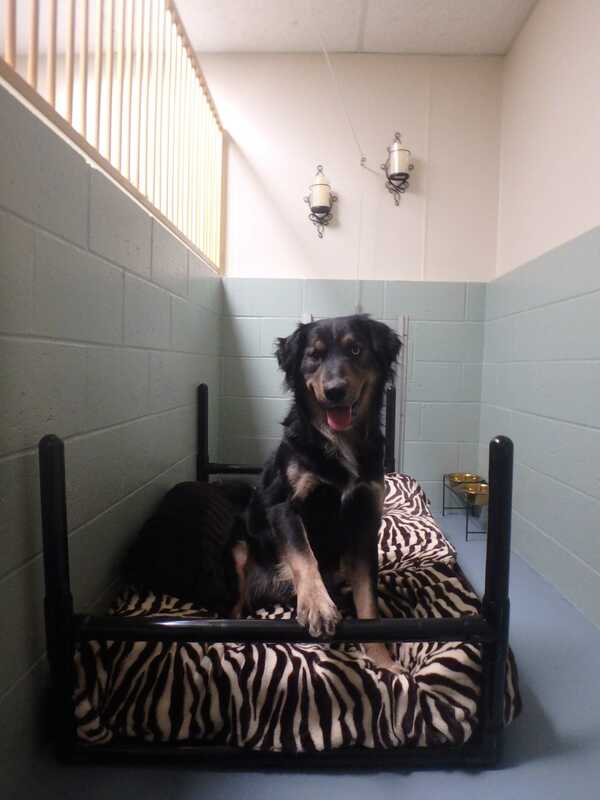 Special accommodations are made for senior pets, puppies or those with special needs. 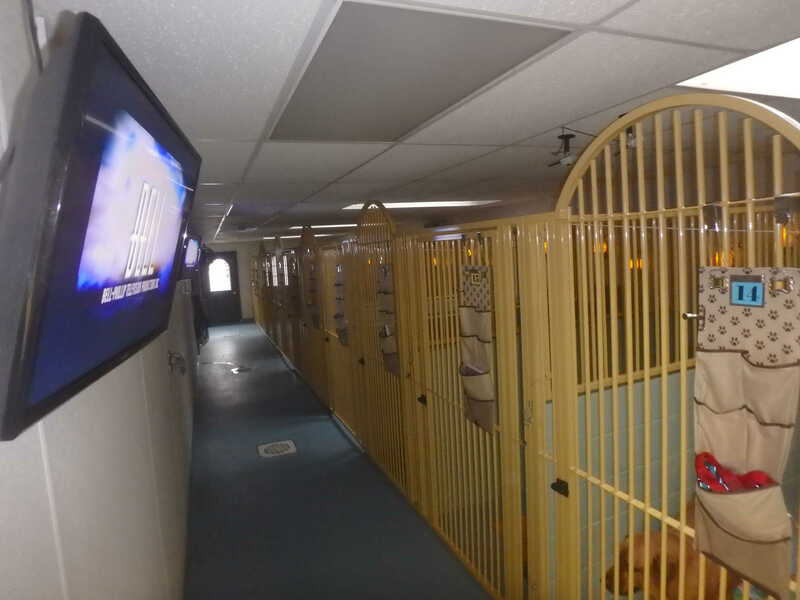 These spacious suites have all the qualities of our Premier Suites plus luxurious Kuranda Dog Beds, Flat Screen TV’s with the option to view your pet on a web cam. The Imperial Suite also comes with an included Play Yard Time and your choice of a Stroll, Snuggle Date, Play Date, or Train Date. Although our accommodations are comfortable and spacious, fun and activity are the best part of vacations for humans and dogs alike. We offer a variety of popular and discounted activity packages for you to choose from to ensure your dog has the very best experience while away from home. Click here to learn more. Doggy Day Camp is a wonderful option for social dogs who love to play with other dogs? Click here to learn more. • Exercise helps keep pets healthy, agile and limber. • Dogs need physical and mental stimulation each day. • Exercise reduces the incidence of digestive problems and constipation. • Exercise helps prevent boredom and channels the dog’s energy in a productive, acceptable direction. • It’s a good way to help a timid or fearful dog build confidence and trust. For the protection of all our guests, we require proof of the following vaccinations in the form of veterinary records. All records must be current and/or have been performed at least 10 days prior to arrival. Rabies, DHLPP, and Bordetella or Current Titers. This is a flea free Pet Resort. All pets must be free of fleas & ticks. If evidence of fleas are found the pet will be given a flea & tick preventative and flea bath at the owner’s expense. Included: we will prepare customized meals of our premium foods. Most pets are sensitive to a change in diet. We believe the fewer changes, the better. We recommend bringing the same food that your pet is use to eating at home and prepare your pet’s meals exactly the way you do. It is recommended that your kibble is measured and put in baggies for each meal, with a few extras, in the case your trip is delayed. Any dietary supplements or additions should also be supplied. We use stainless steel bowls for food and water, so it is not necessary to bring food or water bowls. You are welcome to bring a bag of your pets favorite treats and a favorite toy for your pets stay. We do not accept rawhide products, greenies or any other product we feel may be a choking hazard. We are not responsible for the loss or destruction of toys. We provide bedding for all our guests. You are welcome to bring a machine washable bed with no filling. We are not responsible for the loss or destruction of beds provided by you. We highly recommend a bath before your dog’s departure from the pet resort. 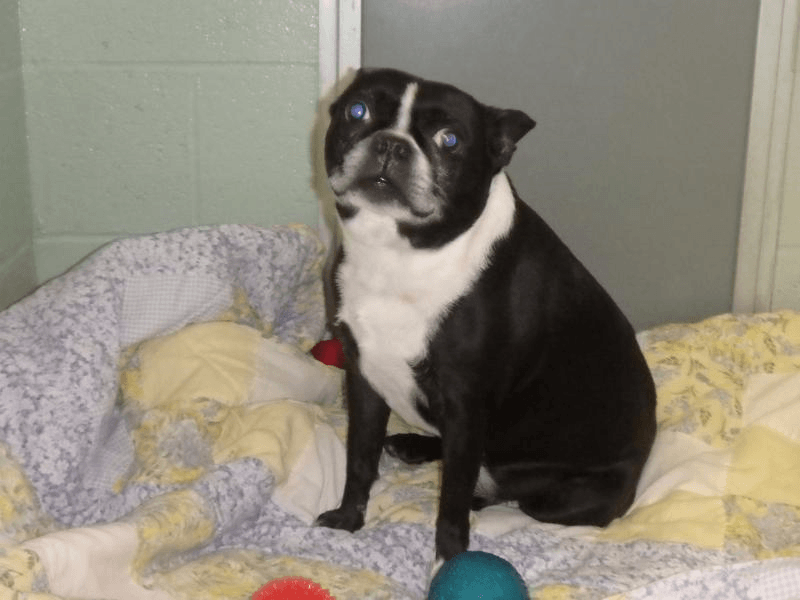 To uphold our reputation of the cleanest pet resort in Connecticut there may be a cleanup fee for your pet’s health & cleanliness. Please inquire about our therapeutic Hydro Spa Bathing System.